In a Sticky Situation like a Lizard trapped in a trapper? | Why You So Free Lately ? In a Sticky Situation like a Lizard trapped in a trapper? 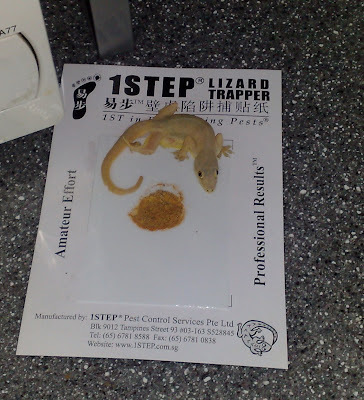 How do a lizard get out of a good lizard trapper? "So can somebody please get me out of this sticky situation?" is that a real lizard? ?